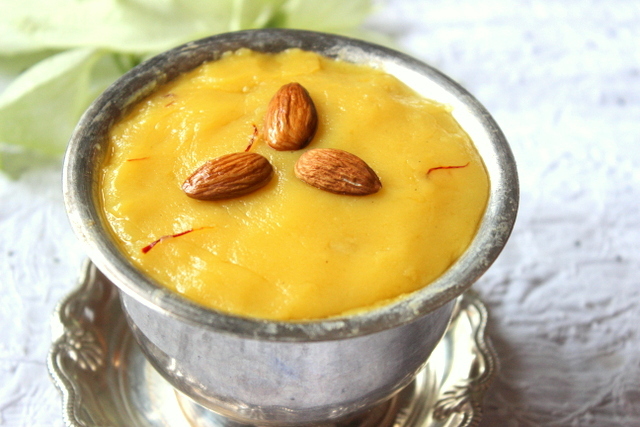 Badam or almond halwa is a very rich and delicious Indian sweet made with blanched and pureed almonds, ghee and sugar. 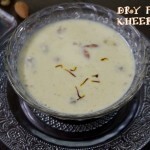 It can be prepared on any festive occasions like ugadi, diwali, holi or lakshmi puja. 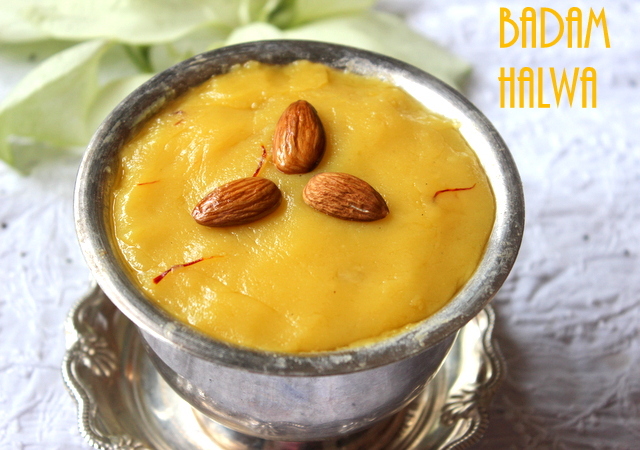 Badam halwa can be had on any normal day too as almonds are healthy. 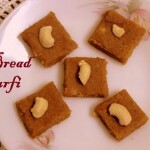 They are a good source of nutrients and can be given to growing children. Since they are high in nutrition, it gives strength to the body. 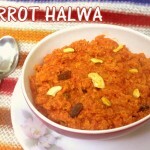 Do try this halwa on any special or festive occasions and enjoy with your family!! 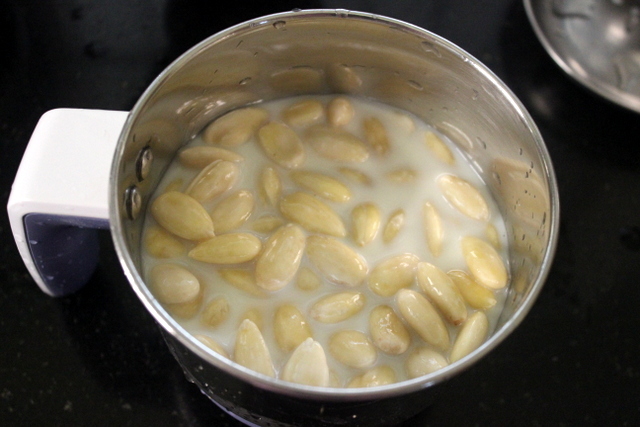 Soak the almonds for upto 4 hours. Peel off the skin and rinse them thoroughly. 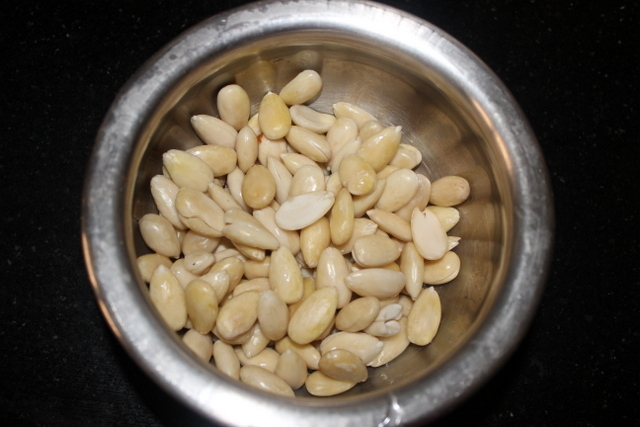 Alternatively, you can soak the almonds in hot boiling water for 5 minutes. Then it becomes easier to remove the skin. 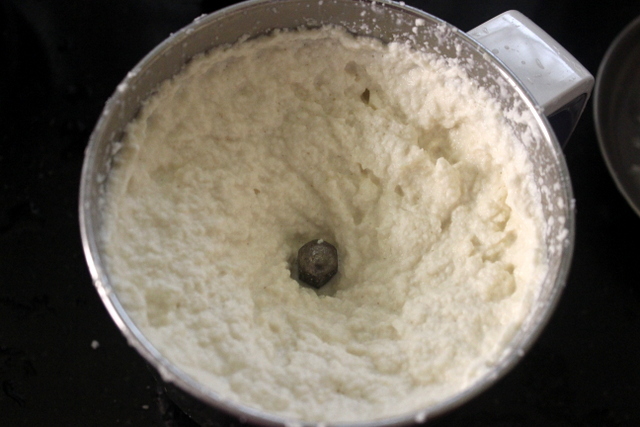 Now grind the peeled almonds with 1/2 cup of milk to make a smooth paste. Keep it aside. 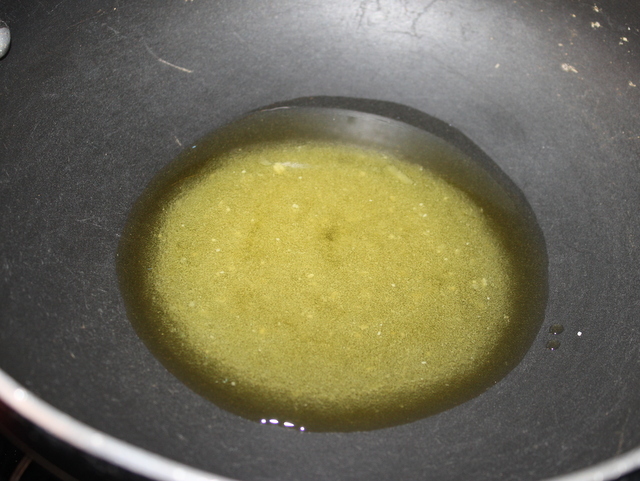 Heat 4 tablespoons of ghee in a heavy bottomed or non-stick pan on medium flame. 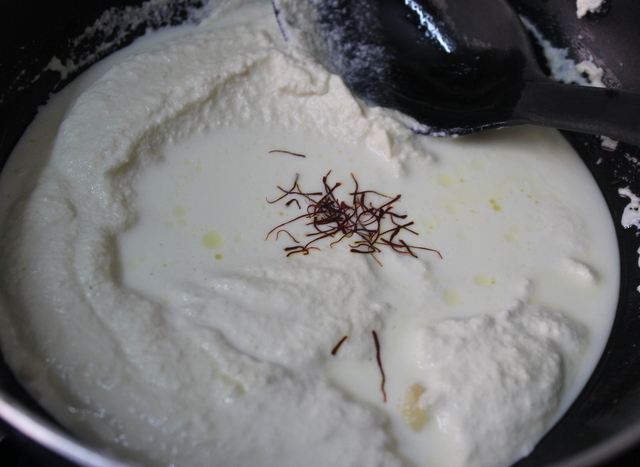 Once the ghee becomes hot, add the almond paste, remaining 1/2 cup of milk and saffron strings. Mix well. 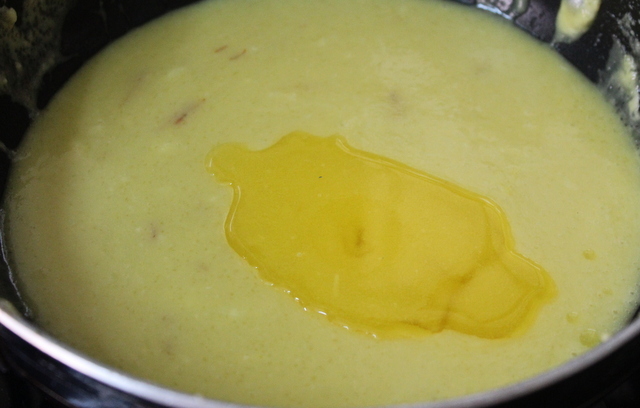 Cook on low to medium flame and keep stirring continuously. 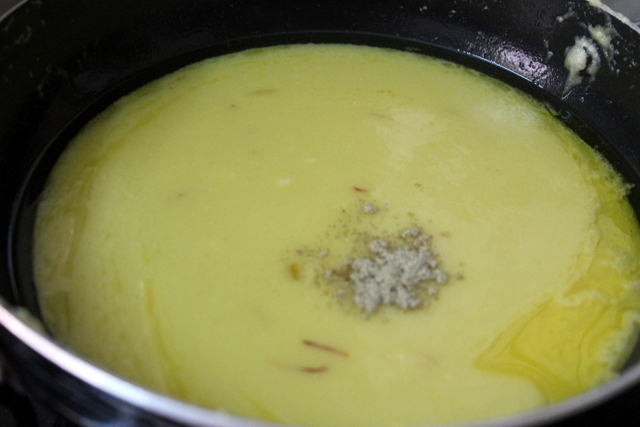 Once the mixture begins to thicken, add 2 tablespoons of ghee and keep stirring on low flame for a minute. 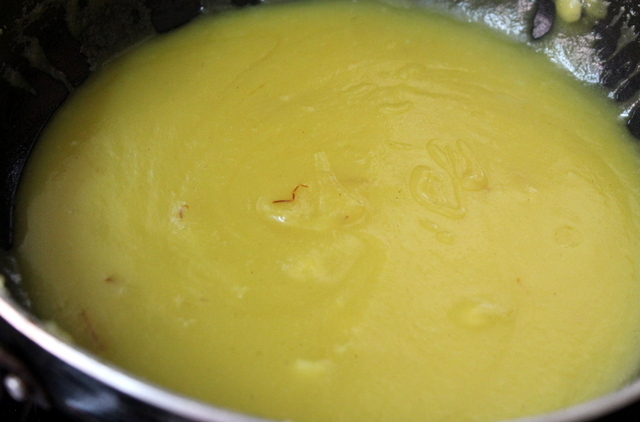 Ghee prevents the mixture from sticking to the bottom of the pan. 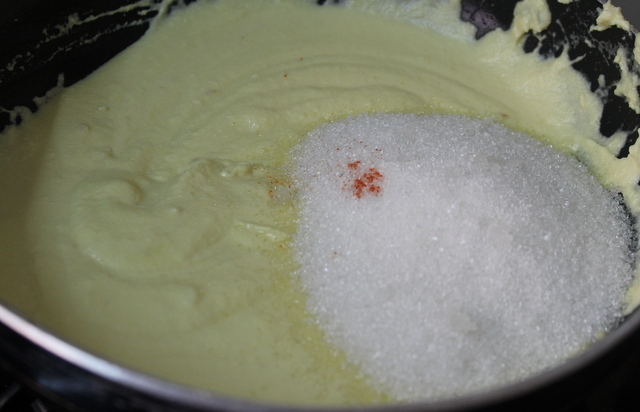 Add the remaining ghee and cardamom powder and mix well. 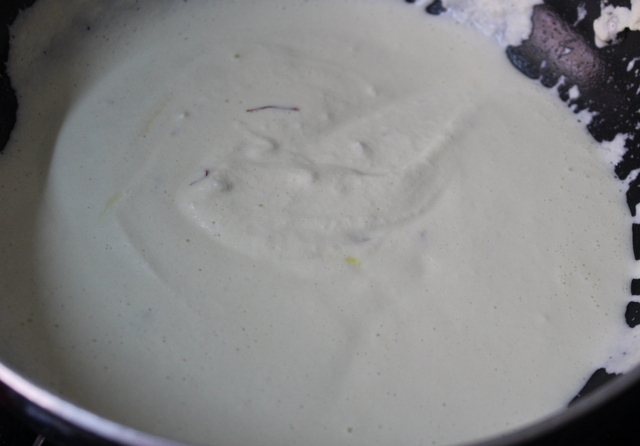 Keep cooking on low flame by stirring continuously. 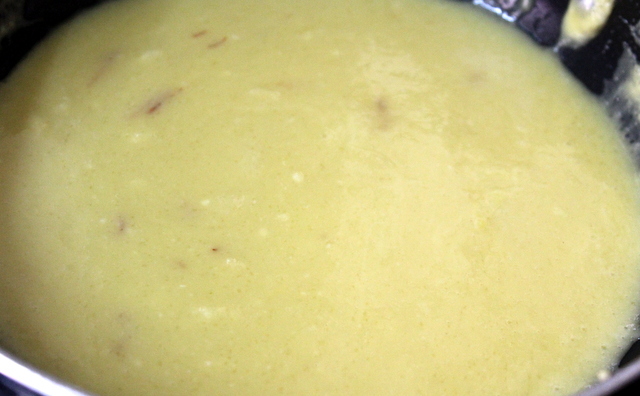 The halwa will start leaving the sides of the pan and will start to thicken. This is the right consistency. You can then switch off the flame. 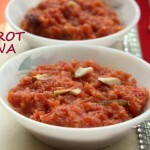 Pour the mixture on to a greased plate and once cooled down, cut the halwa into desired shapes. 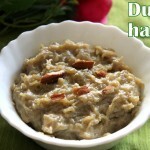 Yummy badam halwa is ready to be served. 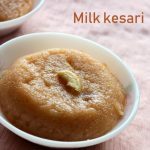 Once the halwa cools down, it will harden a bit. 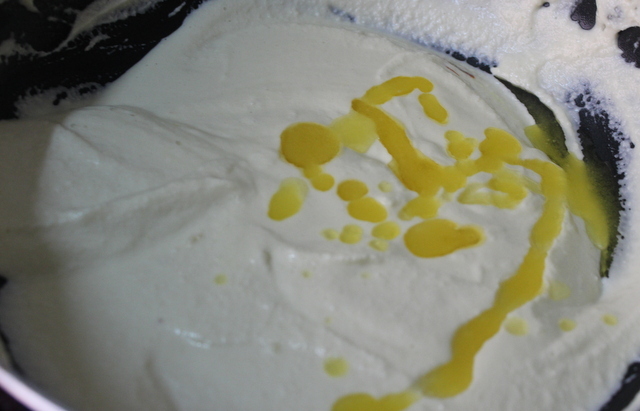 Once cooked, you can spread the mixture on a plate evenly. 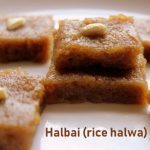 Once cooled down, you can cut the halwa into square or diamond shapes. 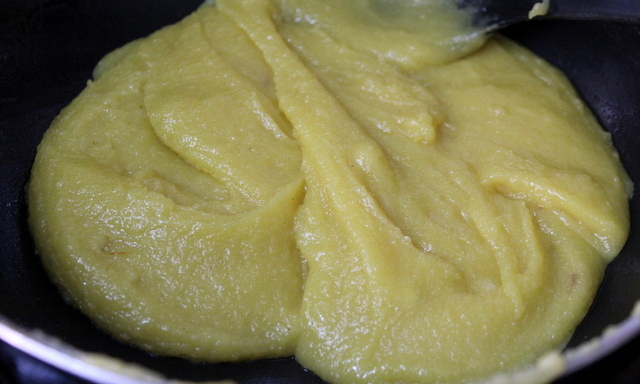 Ensure to stir continuously so that the halwa does not get burnt at the bottom of the pan. 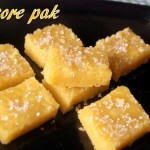 You can add more sugar if you want little more sweeter in taste. 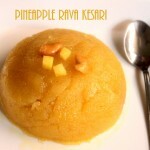 Otherwise 1 cup of sugar is appropriate for the halwa. 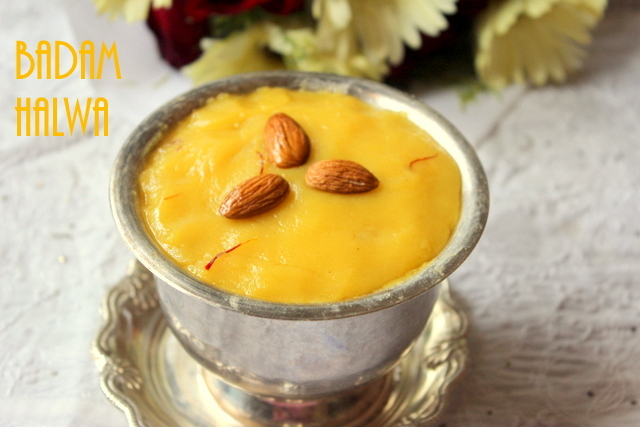 Use good quality of ghee and sugar for better taste. 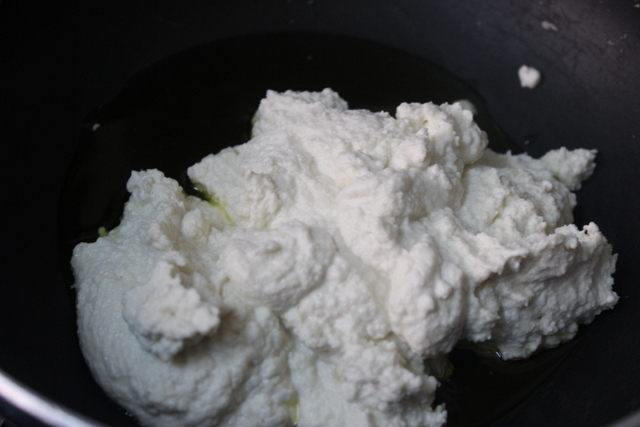 Once cooled down, store in an airtight container and refrigerate it. It stays good for 3-4 days. Always cook on a low or medium flame to avoid getting burnt.